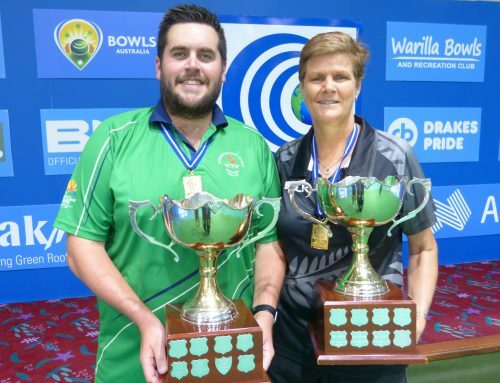 IN an all-Australian final, Jeremy Henry was crowned World Cup indoor singles champion for the sixth time, while Guernsey’s Lucy Beere collected her first . 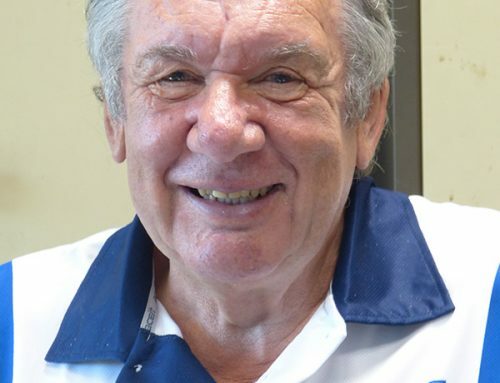 Ferguson, who defeated Henry to win the Australian Indoor Championship last August, made his way into the world final in the day’s first match when he outgunned fellow Shellharbour resident Brendan Aquilina, who was representing Malta 10-4 9-2 in the second semi final. In yesterday’s first eliminator, Henry claimed an equally comfortable victory over New Zealand’s world fours champion Ali Forsyth, 10-4 7-2. 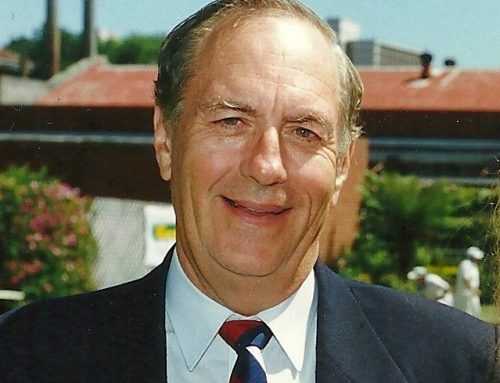 Ferguson, who is the bowls co-ordinator at the Engadine club in Sydney, was undefeated in his lead-up schedule, while Henry’s only loss came in Round 9 against Indian champion Dinesh Kumar. 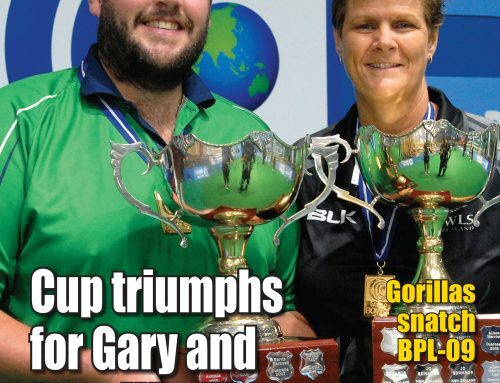 In the early afternoon action on the Warilla carpet, Guernsey pocket-rocket Lucy Beere ended the unbeaten run of Australia’s Bec Van Asch in the women’s final. After a close first set win, Beere was ‘blown away’ by Van Asch in the second 8-2, but countered with an potent tiebreak display where she collected a double and a triple in a demonstration of fine draw bowls to capture the title. 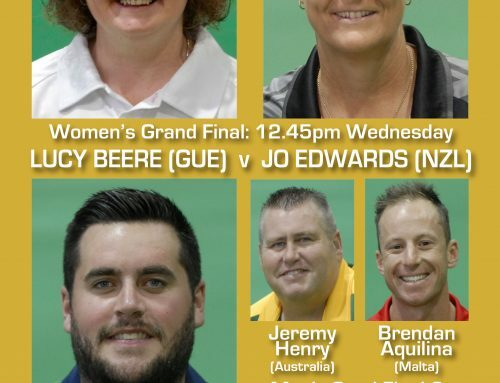 Being ‘under the pump’ is nothing new to Beere, who lost her two opening qualifying matches, but managed to scrape into the top three, then, in a replay of last year’s women’s final, turned the tide against defending champion Jo Edwards of New Zealand. Edwards, the world No.1 and Van Asch both went through the qualifying stanza of this year’s World Cup undefeated, while Beere lost three of her eight sectional rounds. 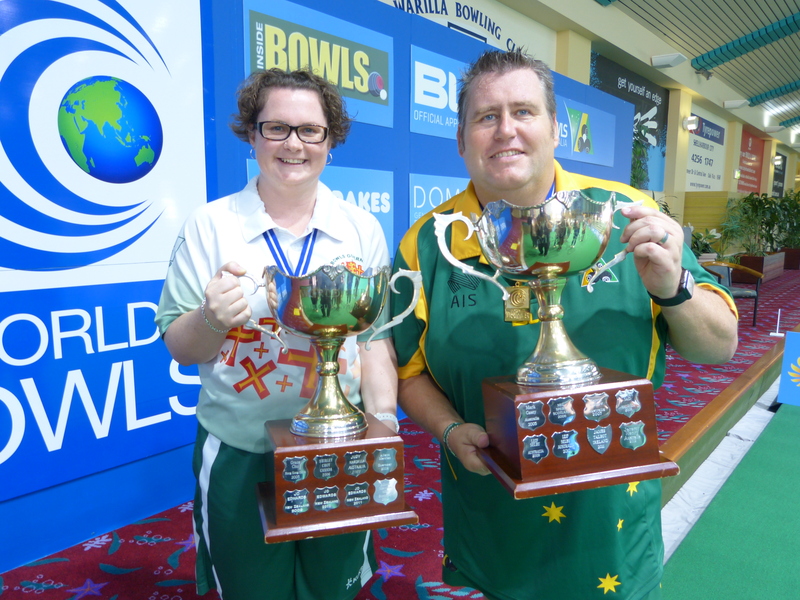 Photo: Newly-crowned women’s champion Lucy Beere and six-time winner Jeremy Henry.